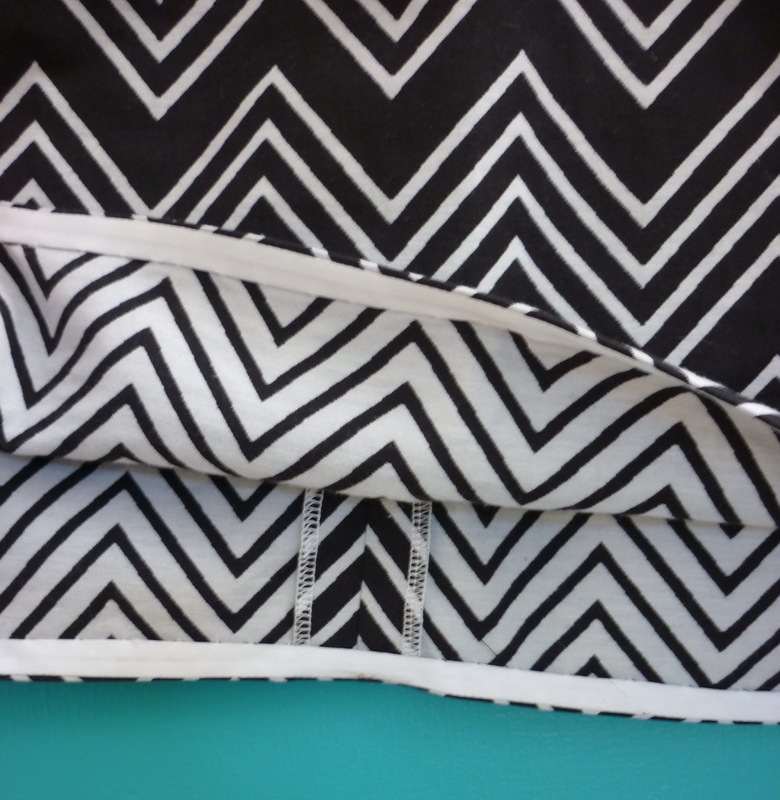 During the last sale at The Fabric Store, I bought 2 panels of this amazing black and white zig zag cotton on a bit of a whim. 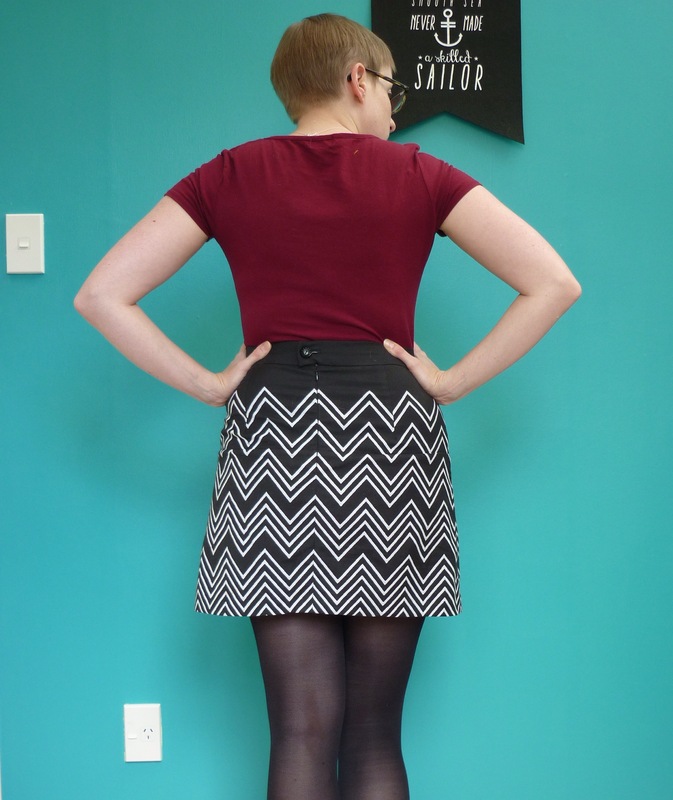 I wanted to make a skirt, and my first thought was the Sew Over It Tulip Skirt which had just been released, but as I laid out the pattern pieces I started to have misgivings. 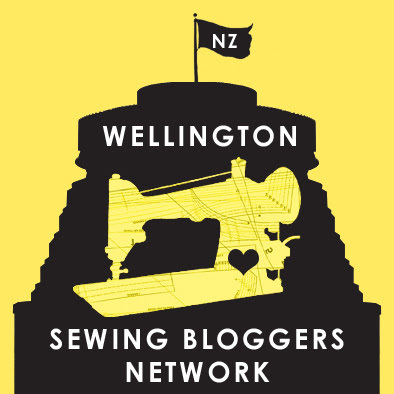 I was worried that the deep pleats on the front of the skirt which give it its lovely shape would look a bit strage with the zig zags, I didn’t want it to look like a WW1 era warship! 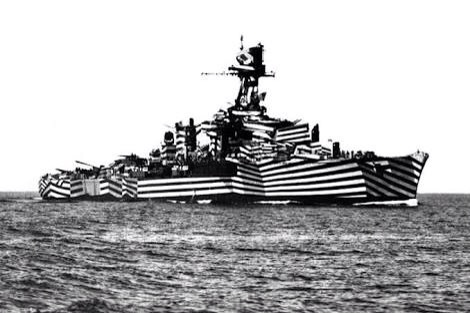 Dazzle camoflage paint is amazing, by the way! But I managed, eventually! Its not perfect, but its good enough. I did have to manipulate the front yoke slightly to get the zig zags aligned, which has made the fit across the front a bit funny, but I decided that in this instance fit could be sacrificed slightly for pattern matching! Pockets! Not hugely functional pockets, if I put my phone in one it pulls the front down on one side, but I’m sure I’ll probably end up with my train ticket or lipbalm in there. 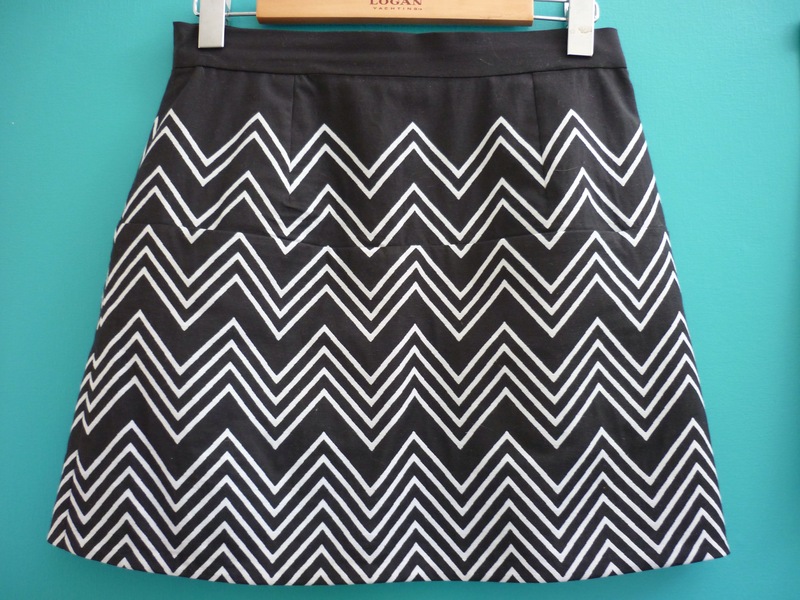 I have to say, I’m really happy with the pattern placement on this skirt. 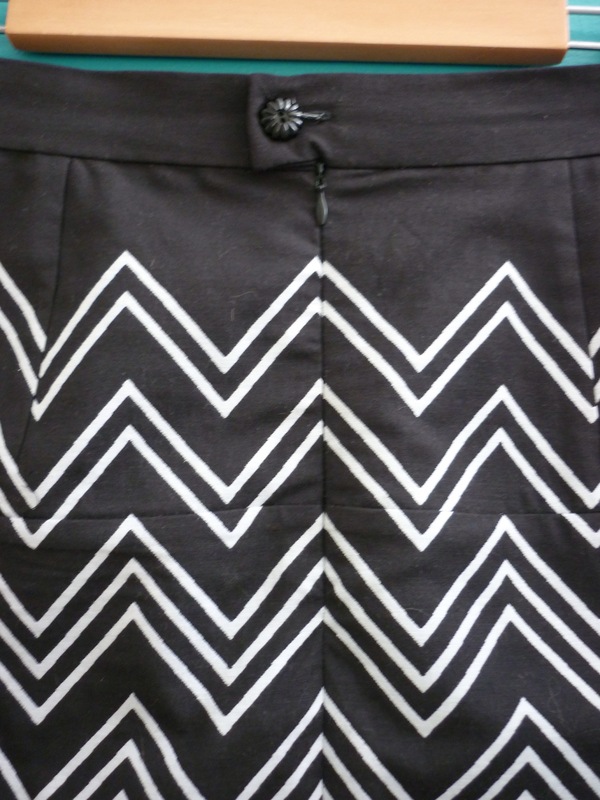 I like the gradation of few to many zig zags from waistband to hem, I think its really effective. Slightly annoyed that I didn’t realise the skirt had twisted to my left when I was taking these pictures, but not enought to go and get changed and take some more, sorry! I had trouble getting the zig zags to line up perfectly at the top of the zip, and after about 4 attempts I decided it was fine… I used a button from my stash to close the waistband instead of a bar and hook as instructed, because I didn’t have one and I thought this button was cute. I didn’t bind all of the seams as the instructions suggest either, because I was pretty sure that the skirt was going to be a disaster by the time I got to that point! I thought it could be a muslin, it wasn’t until I tried it on for the first time that I decided that I actually liked it enough to finish it off properly. I hemmed it with some bias tape and hand stitched it up. 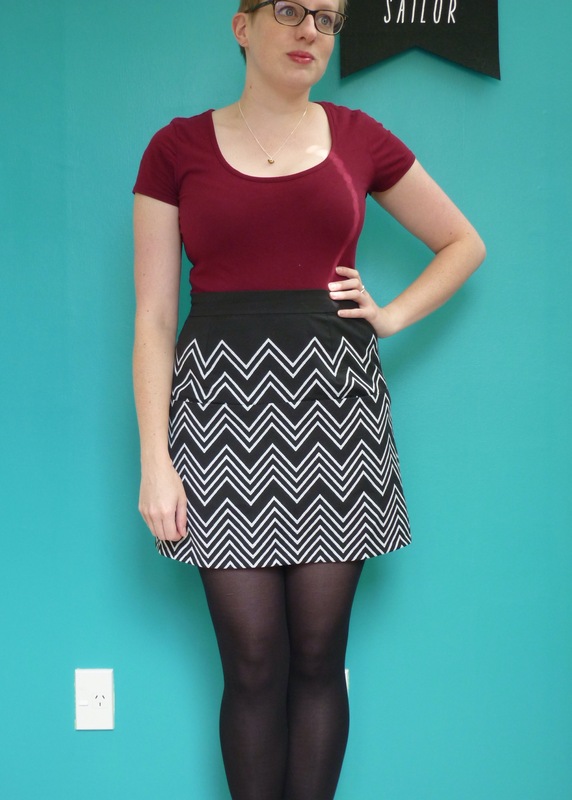 Its a short skirt, but we’re heading into tights weather (and I’m ok with showing a bit of leg) so thats ok. 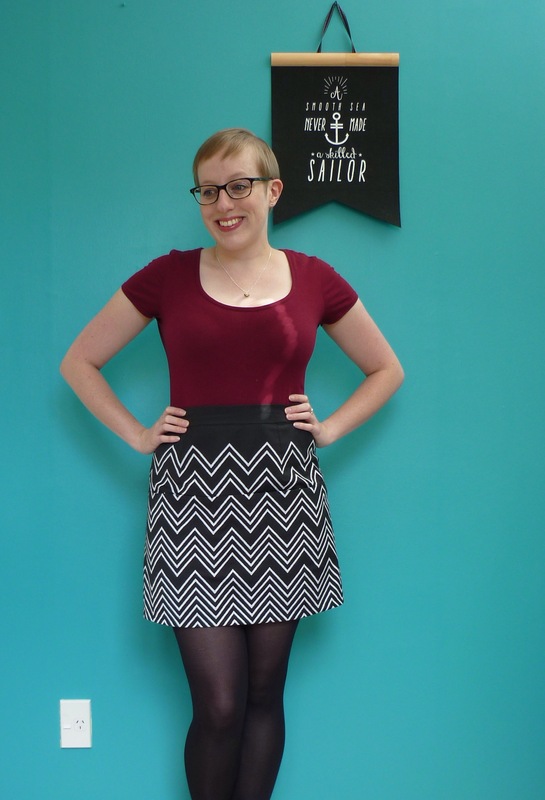 I have plans to make another version of this skirt in some navy needle cord that I bought last winter and never ended up using. I think I’ll add a couple of inches to the hem for the cooler weather, and I might look at underlining it with something slipery to stop it climbing my tights. I’ll need to look for some stretch satin or similar.